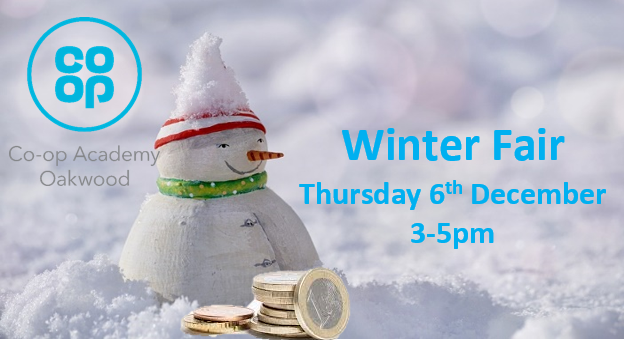 Please join us for our school Winter Fair from 3-5pm on Thursday 6th December. There will be a raffle, tombola, cake stall, face painting and games. We hope to see you then.